What is the Biosphere Sites of Tourist Interest Certification? Biosphere for sites of tourist interest is a certification of tourism sustainability, designed so that those spaces whose characteristics arouse interest, can improve their performance and reduce the negative impacts of the development of their activity, guaranteeing an adequate balance between the economic, socio-cultural and environmental dimensions. This category includes monuments, churches, mosques, chapels, physical spaces of tourist interest, statues and spaces and similar elements that generate tourist visits in the Destination. For all of them, the certification guarantees the fulfillment of requirements based on the principles of sustainability and continuous improvement, ensuring that certified Sites of Tourist Interest carry out new non-aggressive tourism models, satisfying the current needs of their customers and users without compromising future generations. The Biosphere Sites of Tourist Interest report significant benefits for themselves, the society and the environment. Receive tools, support, proposals and recommendations to design, manage and provide more sustainable visits, minimizing the negative impacts related to the conservation and degradation of resources, contributing to the preservation of its attractiveness over time. Consumers increasingly demand new non-aggressive tourism models. Position yourself as a sustainable hotel and communicate your commitment, with the Biosphere seal. Integrates the different resources and attractions of the territory – monuments, historical accounts, characters, crafts, food, natural areas, among many others – to transmit the power and uniqueness of Catalonia. Fill in the application form by choosing the desired certificate within the category of "Sites and Centers of Tourist Interest", determining the number of workers of your entity and filling the contact and billing data fields. The Sites of Tourist Interest must pass an external audit to obtain the Biosphere Certificate, which will verify the compliance and the correct implementation of the requirements established in the certification system. 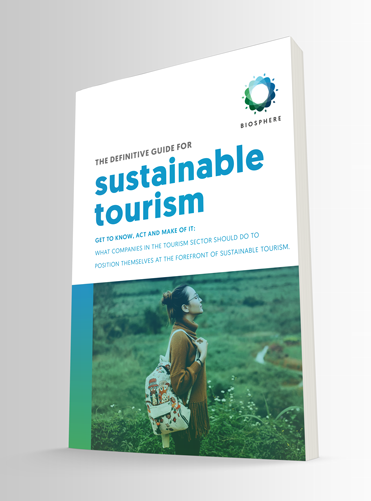 One of the most important challenges nowadays, and the responsibility of all the actors involved in the model of sustainable tourism, products and, destinations. 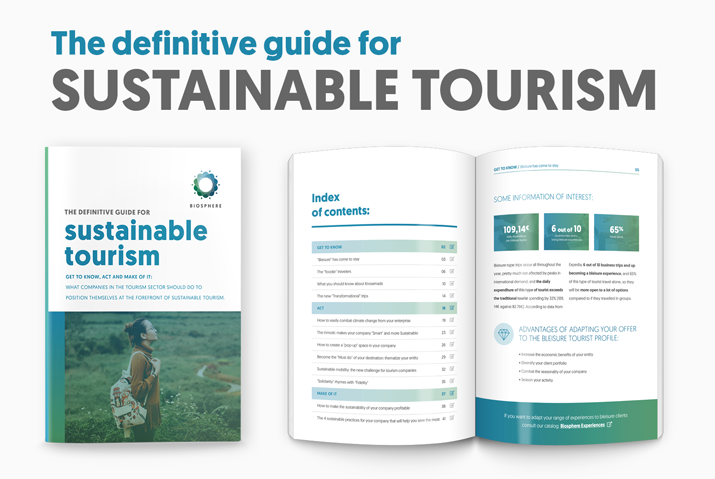 A commitment to sustainable tourism as a form of business management, management of the environment and its resources, and as a goal in social interaction.